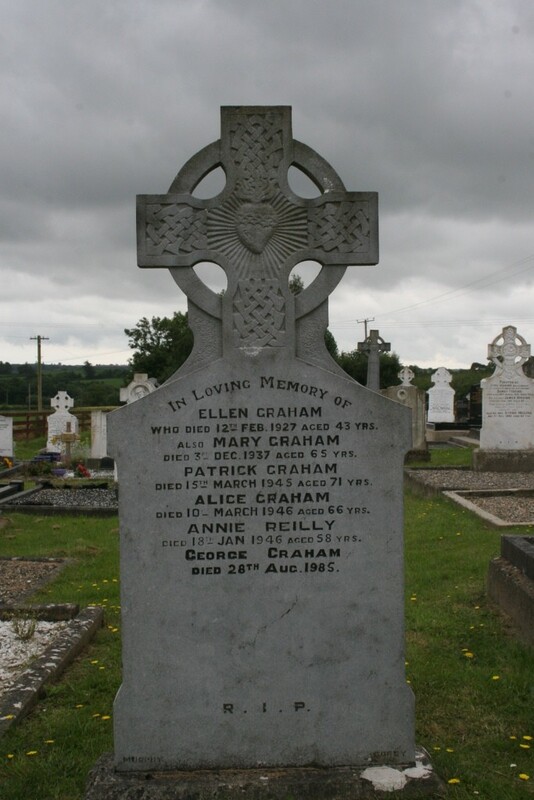 In loving memory of Ellen Graham who died 12th Feb. 1927 aged 43 yrs. Also Mary Graham died 3rd Dec. 1937 aged 65 yrs. Patrick Graham died 15th March 1845 aged 71 yrs. 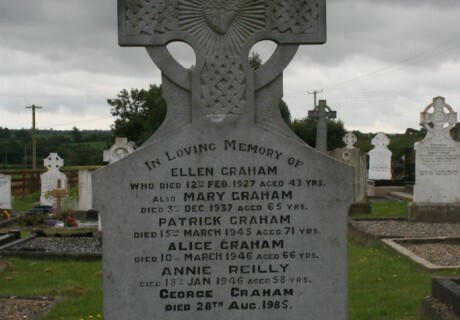 Alice Graham died 10th March 1946 aged 66 yrs. Annie Reilly died 18th Jan. 1946 aged 58 yrs. George Graham died 28th Aug. 1985.